Lost the keys to your safe which is set in the floor, in a small cubbyhole, tucked under the stairs? No problem! 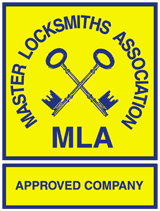 we can crawl in and pick the lock open then reinstate the safe door with a new lock. Securikey Safeguard safe locked out Eckington. Our professional safe engineer attended to this jammed Securikey Safeguard under floor safe which was locked out near Eckington. Opened without drilling or damage and a new lock fitted for another happy customer.